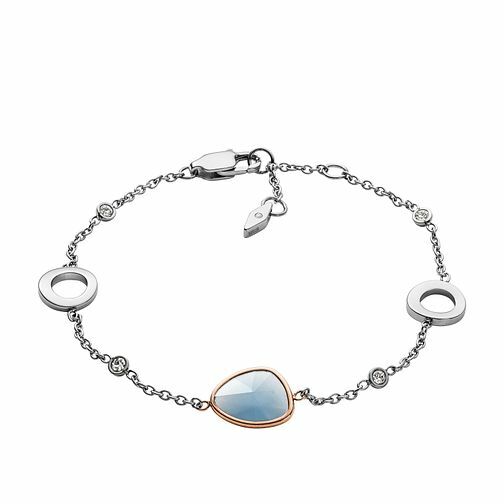 A simply divine bracelet, this beauty is crafted with a fine silver tone chain, presenting a collection of charms. From solitaire sparkling set stones and silver tone cut-out circles, to a gleaming blue glass element with a rose gold tone frame. Finished with a lobster clasp to secure a comfortable fit. A sophisticated splash of colour to compliment an everyday to elegant look.